SIA Approved Contractor – The ExcluSec Group Ltd hold SIA approved contractor status for the provision of Key Holding, Security Guarding and Door Supervision services. Choosing an ACS accredited supplier for the provision of your contract security services will help you to meet your security obligations to your staff, shareholders and other stakeholders. Approved contractors are demonstrably committed to customer service and the compulsory licensing of their staff. This means their customers can rest assured that every private security operative deployed on their premises will be working within the law. NSI Guarding Gold (Registration Number 51721) – ExcluSec have been assessed and satisfies the requirements of the NSI Guarding Gold Scheme with respect of the following scope: “The Provision of Static Site Guarding Services, Door Supervision Services, Keyholding and Response Services and Event Stewarding and Crowd Safety”. NSI Guarding Gold builds on product Certification to incorporate Quality Management System Certification. The combination of the Quality Management Systems and the relevant sector specific product or service represents the Gold standard of certification. This level holds the greatest perceived value across industry and by the police, fire and rescue services and insurers. Investors In People is the most successful framework for business improvement through people in the UK. It is used by more than 14,000 organisations both in the public and private sector, in over 75 countries. ExcluSec recognises that there are many proven practical benefits of working towards and becoming an Investors in People organisation. They include improved organisational performance, greater productivity, a sharper competitive edge, and increased employee engagement. On 17th March 2016, ExcluSec successfully acheived ‘Gold’ accreditation. Only 4% of accredited companies acheive ‘Gold’ meaning that Exclusec are one of only 560 company with this accreditation. The Living Wage commitment will see The ExcluSec Group offer a Living Wage option for each and every request for tender. This will mean that even more organisations can consider paying all of their contracted staff a wage that meets the cost of living. Recognised Service Providers also commit to pay the real Living Wage to all staff working for their core business. The Disability Confident scheme aims to help companies successfully employ and retain disabled people and those with health conditions. Being Disability Confident is a unique opportunity to lead the way in your community, and businesses might just discover someone your business can’t do without. It was developed by employers and disabled people’s representatives to make it rigorous but easily accessible – particularly for smaller businesses. The scheme is voluntary and access to the guidance, self-assessments and resources is completely free. The Approved Contractor Scheme Pacesetters membership is made up of Contract Security Guarding Companies who are in the top 15% benchmarking and achievement levels set by the Security Industry Authority Approved Contractor Scheme. To achieve accreditation companies must reach a score of zero and currently the maximum score is +174 points. All members of ACS Pacesetters will have gained a minimum score of +128 during their recent annual inspection by one of the five appointed UKAS inspection bodies – ExcluSec’s current score (Year 4) is +138 and positions us in the top 10% of all ACS companies in the UK. There are currently 790 Contract Security Guarding Companies who have achieved ACS accreditation, therefore, it is very difficult for the buyers of security services to differentiate between them. The ACS Pacesetters places emphasis on the importance of the annual score, making the tender process for end-users very much simpler. The British Institute of Facilities Management (BIFM) is the professional body for facilities management (FM). Founded in 1993, They promote excellence in facilities management for the benefit of practitioners, the economy and society. Supporting and representing over 17,000 members around the world, both individual FM professionals and organisations, and thousands more through qualifications and training. The BIFM promote and embed professional standards in facilities management. Committed to advancing the facilities management profession we provide a suite of membership, qualifications, training and networking services designed to support facilities management practitioners in performing to the best of their ability. BICSc is the largest independent, professional and educational body within the cleaning industry, with over 25,000 Individual and Corporate Members. Their aim is to raise the standards of education and build awareness of the cleaning industry through professional standards and accredited training. NASDU – NASDU promotes Welfare, Standards, Training and Education within the Security Dog Sector and offers support and guidance to its membership. NASDU is recognised within the security industry by the Security Industry Authority (SIA), Skills for Security, BSIA, IPSA together with the Home Office, ACPO, MOD, DEFRA, BSI, as well as Animal Welfare Groups like local Authority Dog Wardens. NASDU produce a regular and informative glossy magazine, keeping members up to date with the industry and related topics together with Codes of Practice and training materials. SafeContractor – Safecontractor was initially developed as a bespoke project for a Property Management client who wished to outsource the annual vetting of contractors on its approved list. Interest shown by other similar clients identified the potential for a standardised system that could be offered to the whole of the company’s client base. Highfield Qualifications is the UK’s leading provider of compliance qualifications and is recognised by Ofqual, the Welsh Government, CCEA and SQA. ExcluSec are a Highfield Approved Centre (No.11924). The Chamber provides opportunities for members to meet fellow members and help to promote their business via the Chamber database, monthly networking events (Breakfast Matters). 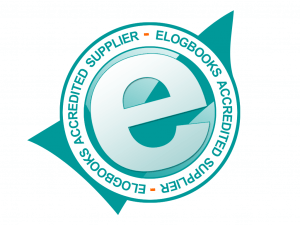 eLogbooks recruit and accredit only the very best service providers across all facilities management sectors and match accredited service providers to clients, based on a precise and exacting specification from commercial clients who require exceptional service.